Low carbers know ketosis is the superhero of fat burning. Want to get there quickly? Try a few rapid keto techniques and eat specific low carb foods. When carbs are restricted or absent from your diet, your body must rely almost solely on fat for energy. Ketosis happens when your carb levels are very low, 20 to 50 carbs (or less) per day. The fastest way to reach ketosis using your diet is by limiting carbs: 20 to 50 grams per day, or less than 10% of total daily calories. 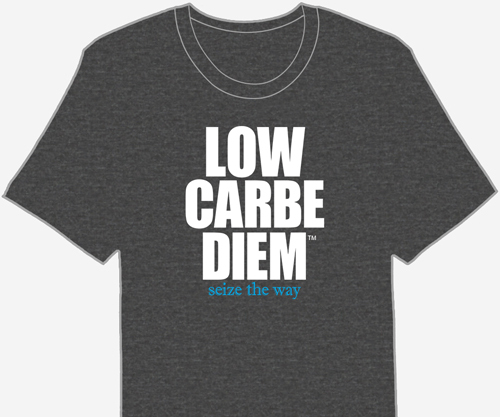 Some low carbers eat less than 5%. Specific diet and exercise techniques, such as intermittent fasting and high intensity interval training (HIIT) workout routines help you get into ketosis quickly and maximize your fat loss. This keto method helps eliminate liver glycogen stores rapidly. Follow this plan exactly, and you’ll reach ketosis within a few days. Eat low carb during the day or avoid fruit, starchy veggies, grains, sugary treats, rice, bread and pasta. In the morning before eating, perform a HIIT routine, another kind of intense exercise or weight training. 2% of 1000 daily calories = 20 calories. Carbs have 4 calories per gram, so 20 calories = 5 carbs. In the morning (before eating) perform medium intensity, steady state exercises or weight training. Continue eating high fat keto foods. (Optional) Add extra butter, coconut oil or MCT oil to your meals. Allow no more than 5% of your total daily calories from carbs. In addition to rapid fat loss, many low carbers experience a burst of energy and a lightened mood. Some dieters notice a temporary, strange taste in the mouth and mild sweet breath odor, signaling they are in ketosis. There is a popular way to measure ketones to tell if you are in ketosis: testing with strips. Keto strips measure the presence of ketones, a result of being in ketosis. I must admit, I love seeing dark purple on the end of my keto test strip. Keto sticks are a good detector of ketosis, but if the strip doesn’t register the presence of ketones, you can still be ketosis. Why? Fat-adapted low carbers may not register ketones after being in ketosis for longer periods of time. These low carbers use ketones more efficiently and levels may not be detectable in the urine, even though they are in ketosis. Use this keto calculator to determine your ideal nutrient intake for weight loss or maintenance during ketosis. The low carb keto calculator creates a plan based on how much fat you would like to lose each week. Enter your height, weight, age, daily carb intake and level of exercise. The calculator recommends the optimum daily calories, fat, carbs and protein grams to help you get into ketosis and meet your weight loss goal. Even though most of your calories are from high fat foods, once you get into ketosis your body burns the fat instead of storing it. Wondering what to eat? The Keto Beginning program goes a step beyond the usual low carb approach. This keto meal plan offers an allergen-free, paleo-friendly, low carb balancing solution. 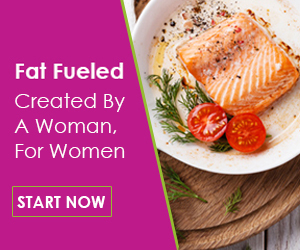 This plan does all the work for you, using sound nutrition and vibrant foods to create high fat recipes that are dairy-, gluten-, sugar- and grain-free. Enter fat-burning mode without ‘keto flu’ or going very low carb. Bust through plateaus and maintain steady energy. End food obsessions and strict eating schedules. Plan your meals and a trip to the grocery with the printable keto foods list. These foods are keto-friendly and high in healthy fats. La Tourangelle Avocado Oil is all-natural, expeller-pressed, non-GMO and Kosher. La Tourangelle has a fruity roundness – great for sweet and savory recipes. Citric acid in diet soft drinks throws some low carbers out of ketosis. While in ketosis, your blood sugar is very low, so alcohol will have a more pronounced effect. Drink slowly and cautiously. The hangovers are ruthless. Hard liquors (scotch, vodka) may be consumed in moderation – they have only trace amounts of carbs. Most wines have 1 to 5 carbs per serving. Sweeter wines have more carbs. Darker, drier wines have less. A complete list of over 200 low carb ketosis foods.